Home downloads jht-2017 News pdf vacancy SSC Junior Hindi Translator (JHT) 2017 Tentative Vacancy Position. 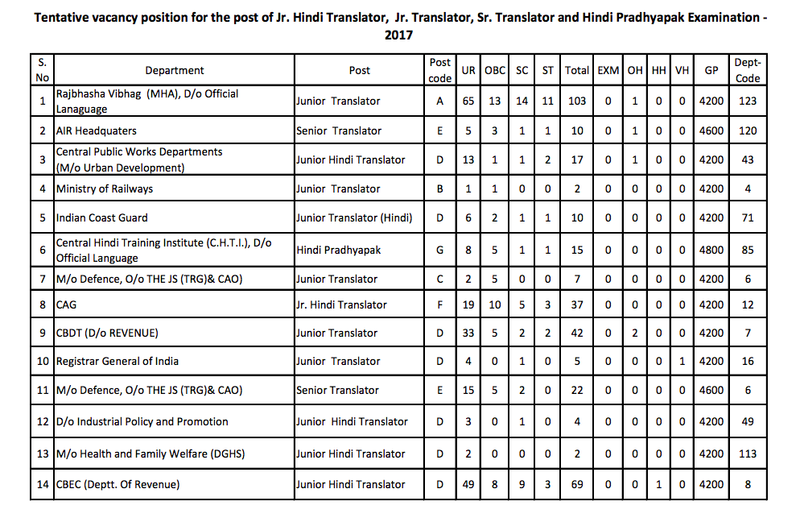 SSC Junior Hindi Translator (JHT) 2017 Tentative Vacancy Position. SSC has updated the tentative vacancy position of SSC JHT 2017 Examination. You may download the Official PDF from the link provided below. 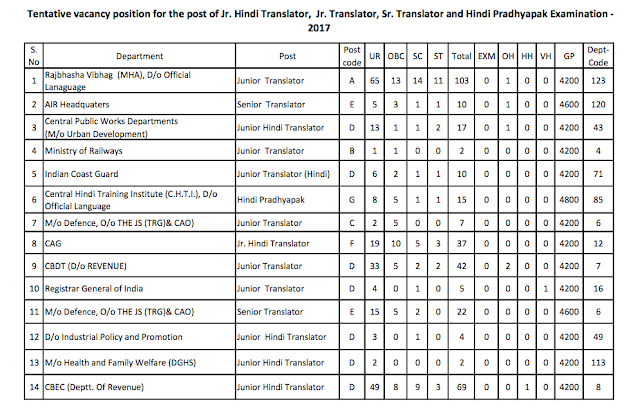 Click Here to Download SSC Junior Hindi Translator 2017 Tentative Vacancy Position.